As a courtesy to the Fernandez and Lookabill families, we share the obituary for Matthew. 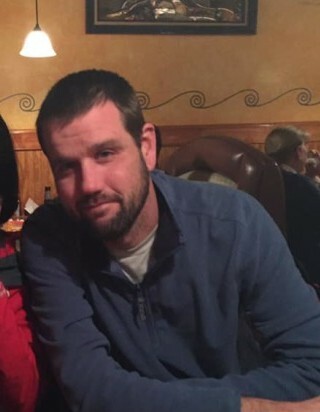 MIDLOTHIAN, VA – Mr. Matthew Lawrence Fernandez passed away on Saturday, March 16, 2019 he was 39. Matthew was born June 25, 1979 in Raleigh, NC a son of Lawrence and Adele Lookabill Fernandez. He was a 1997 graduate of Clover Hill High School and also a 2001 graduate of Randolph Macon College where he received his Business Degree. Surviving are his daughter Marlee Fernandez ; his parents, Larry and Adele Fernandez ; his sister and brother, Jennifer Surface and her husband Charles of Durham N.C and John Fernandez and his wife Jill of Bluffton S.C. his paternal grandmother Marylyn Fernandez of Bluffton S.C. his fiancé, Erin Willinger of Chester; his aunts and uncles, Macie Ross, Laurie Stewart, Lee Roy Lookabill and his wife Gay and Lon Fernandez and his wife Sue; his nieces and nephews, Danny, Tommy, Dylan and Annabelle Fernandez and Elizabeth and Cody Surface and a large loving extended family. He was preceded in death by his maternal grandparents Roy and Mary Alice McRae Lookabill and Lawrence Fernandez.